Eschscholzia californica (California Poppy), the state flower of California. California Poppy is mildly narcotic. Alkaloids similar in effect to papaver somniferum (Opium Poppy). Native Americans used California Poppy as a pain reliever. 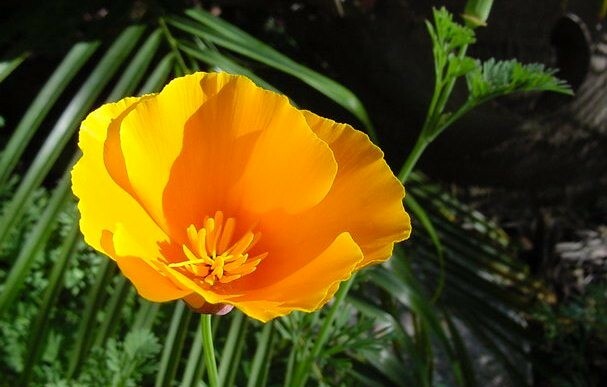 The foliage of California Poppy is brewed as a tasty and relaxing tea.